If you look at a certain batch of statistics, from a certain angle, you’d think that women in the U.S. are on equal or better footing than men. Women have a lower unemployment rate than men; more women get bachelor’s degrees than men; nearly 40 percent of M.B.A. graduates are female. And what would you say if I told you that the number of female C.E.O.’s in the Fortune 500 recently hit an all-time high? It’s cause for celebration, right? But let’s look at the actual numbers. Out of those 500 companies, there were, as of early 2018, 27 female C.E.O.’s. 5.4 percent. Why? We are several decades into a revolution that brought hundreds of millions of women into the global workforce. And 40 percent of managers are women. So what’s keeping more of them from reaching the top? To be sure, it’s a complex question with a number of factors, some of which you’ve surely thought about. But there’s one you probably haven’t thought about; probably haven’t even heard of it. Let’s start … here. Carol BARTZ: I’m Carol Bartz, I’m a retired tech exec. We’ve been hearing from Bartz throughout this “Secret Life of a C.E.O.” series. For 14 years, she ran the software firm Autodesk. In 2009, Bartz became C.E.O. of Yahoo, which at one point was the world’s most popular web destination, with a market cap north of $110 billion. But by 2009, it was faltering. It was losing search business; it was losing display-ad business; it had controversially rejected a huge buyout offer from Microsoft. But Bartz thought she could turn things around. BARTZ: The company was just beaten to the ground. And I really felt that I could help with that, and give us some air time to get back together. But that is not what happened. Revenue continued to fall; the Yahoo! board, with the Microsoft non-deal still a recent memory, started having second thoughts about Bartz. Stephen DUBNER: In retrospect, do you feel that it was to any degree, for you, a kind of suicide mission? BARTZ: Yes, I do now believe that. Michelle RYAN: The glass cliff. Christy GLASS: We found that white women and people of color are significantly more likely than white men to be promoted C.E.O. to weakly performing firms. Jeffrey SONNENFELD: More than a third of women C.E.O.s have been targeted by shareholder activists, and that’s not true of men. Christy SHROPSHIRE: Well, it’s pretty depressing. Olga SHURCHKOV: It has to be a societal shift in perceptions of what’s acceptable. BARTZ: Oh gee, what a concept! In our previous episode, we heard the story of how Ellen Pao became interim C.E.O. of Reddit and then, eight months later, was fired. Ellen PAO: I did not go in saying, “this is a glass cliff, but if I can do this then like, that’s going to show how excellent of a leader I am. And if I don’t, well — who cares, that was a terrible situation anyway.” I went in thinking I could actually change it. I’m not really concerned about people thinking that I was not the best C.E.O. and I hit this glass cliff. I’d much rather call attention to the problem. If my being portrayed as an example of it is helpful to prevent other people from facing discrimination — then yeah, that’s a good thing. Pao was ambivalent about labeling her situation at Reddit a glass cliff, but when I’d asked her about it, she knew exactly what I meant. The research behind the glass-cliff effect began in the U.K. in the early 2000s. RYAN: I got involved in looking at women in leadership as I finished my Ph.D.
Michelle Ryan is a professor of social and organizational psychology at the University of Exeter. RYAN: And we started being very interested in women’s underrepresentation in leadership positions. Ryan and her colleague Alex Haslam had been struck by something they read. Something quite provocative. RYAN: In November 2003, the Times in London printed an article that was looking at how women were performing in the top companies on the London Stock Exchange. And what they were saying is that companies that had more women on their boards of directors tended to be worse, in terms of their average annual share price, compared to those companies that had less, or indeed no women. And their conclusion was that women were wreaking havoc on company performance. The article didn’t sit right with Ryan. Just having women on the board of directors hurt a company’s performance? When she looked into the data that the Times was citing, she found serious problems with their methodology. Can you believe that — that a newspaper relied on flawed methodology to produce an article with a juicy headline? Shocking, I know. In any case: Ryan and Haslam conducted their own analysis of British companies. RYAN: And instead of looking at how many women were on their boards of directors, we looked at when women were appointed, and then also when men were appointed as well. And then we could look at the performance beforehand and afterwards. RYAN: If the Times article was correct, we should see that after women were appointed to these boards of directors, share price should go down. But actually what we found was the opposite. What we found was when companies had been doing poorly, when their share price had been declining, they then appointed women to their boards of directors. So what we found was a really different causal problem. Rather than women wreaking havoc on company performance, what we found was when companies were doing badly, they were much more likely to appoint women. It was a very different narrative from the one that the Times was putting forward. But it also opened up more questions than it actually solved. RYAN: The idea of the glass ceiling is that women can’t get beyond a certain point within the leadership hierarchy. They come against a sort of invisible and very subtle barrier that prevents their rise. The “glass ceiling” idea was popularized in the 1980’s. RYAN: So the metaphor of the glass cliff really is to evoke this idea of women being very high up. So they’re very senior — boards of FTSE 100 companies, boards of Fortune 500 companies, senior leadership roles in Parliament, for example. But their positions are precarious, because they’re happening in difficult times. So the idea is to evoke this idea of women teetering on the edge, and that their fall, or their failure, might be imminent. Ryan’s analysis suggested that women were being set up to fail, whether intentionally or not. Such a failure would reflect poorly not only on the woman in question, but quite possibly on female candidates to follow. Ryan’s research did have its limitations. It covered only British companies and only board members, not C.E.O.’s. Also, it measured companies’ stock prices rather than their actual performance. Still, the paper got a lot of attention in social-psychology circles, and it inspired some American researchers to pick up the glass-cliff thread. GLASS: Well, it was a novel theory. That is the Utah State University sociologist Christy Glass. Seriously: Christy Glass. GLASS: I heard about the glass cliff after I had been, with my colleague Alison Cook, analyzing how large investors react to the appointment of women C.E.O.’s. I hadn’t seen really good empirical tests of it yet. But the notion that women may be set up to fail was at least provocative enough that I wanted to pursue it and test it empirically. Glass and Cook assembled a database of all the C.E.O. transitions in the Fortune 500, male and female, over a 15-year period. Then they looked at the financial health of those firms, not just their stock price. GLASS: This is separate from investors making assumptions about where the firm is at in terms of its valuation. These are actual, measurable returns to the firm. GLASS: We found that white women and people of color are significantly more likely than white men to be promoted C.E.O. to weakly performing firms. “Weakly performing firms,” which, if the female C.E.O. didn’t turn them around, often replaced her with a man. GLASS: We termed this the “savior effect.” In other words, the firm experimented with this nontraditional leader, perhaps trying to signal it was headed in a bold new direction, that it was aggressively going to address performance declines. And if that doesn’t happen, these leaders tend to be blamed and replaced, back to normal — bringing in the white male, typical leader to then navigate the firm out of crisis. Other researchers began looking for evidence of the glass cliff beyond the corporate world. They found it — in education, where women were more likely to have leadership positions in failing school districts. They found it in political elections, where women are more likely to run in unwinnable contests; and in political leadership, where women are more often elevated during periods of political instability. So there’s plenty of evidence for the glass-cliff phenomenon. Back in the U.K., Michelle Ryan wanted to know why it happened. Was it necessarily driven by discrimination, or some other nefarious instinct? Ryan set up some lab experiments to explore. Some of the experiments used a clever trick. RYAN: What we found was when everything is going well — when share price was going up, or when everything is hunky-dory — they were almost 50-50 likely to choose the man or the woman. But when things were going badly — when there was crisis on the horizon, where there’d been criticism, and where there was risk involved in the leadership position — they almost exclusively chose her. So we can conclude from that there’s some sort of preference for women when all is going badly. But Ryan does not interpret this preference as a willful sabotage of the female candidates. RYAN: We’ve done some follow-up studies to really find out what it is about women, or what assumptions of people making about women that make them particularly good in times of crisis. And what we found is that there’s some evidence that there are stereotypes, gendered stereotypes about men and women, that suggest that women might be better leaders in times of crisis. So if we ask people, “What are the sorts of traits and abilities that you want from a leader when things are going badly?” the sorts of traits that they come up with are stereotypically feminine traits. We want someone that’s good with people, we want someone that’s warm and who’s a good communicator, someone that’s tactful, and sociable. Now, I’m not saying that all women have those traits, or that no men have those traits, either, but those are our stereotypically feminine traits. If that’s the case, the appointment of a female C.E.O. to a troubled company isn’t so much a suicide mission as a rescue mission. If you wanted to get Jungian, you might look at this as one big mother complex. That is: when an institution is in trouble, it cries out for Mommy to make it all better. But when things are going along okay, eh — Dad’ll do. RYAN: When everything is going well, we find that stereotypically masculine traits are more likely to be seen as desirable. So, if share price is up, or steady, then we’re more likely to want leaders who are ambitious, and forceful, and competitive. These are our stereotypically masculine traits. This is a finding that’s been in the literature since the 1970s and that’s called the “think manager, think male” association. So when everything is going well, we have “think manager, think male.” When things are going badly, we have “think crisis, think female. That’s one theory for why women are often appointed to troubled companies. Here’s another theory. A typical male C.E.O. candidate can afford to pass up an opportunity at a troubled company, knowing there’s likely to be another opportunity soon. Which leaves more openings at troubled companies for women. In a case like that, a female C.E.O. is already at a disadvantage to her male counterparts, since the company is in rough shape to start. But then, something else can happen; something that could push a female C.E.O. a bit closer to the edge of the glass cliff. As discovered by our next guest. Christy SHROPSHIRE: I’m Christy Shropshire. Shropshire, a management professor at Arizona State University, was wondering whether female C.E.O.’s were more likely to be targeted by activist investors — a firm or fund who buys up enough stake in a company to give it leverage to push for a change. SHROPSHIRE: So we looked at any firm in the S&P 1,500 index that appointed a female C.E.O. between 2000 and 2013. Then we looked at the characteristics of those organizations, and tried to match as closely as possible a firm that appointed a new male C.E.O. in the same time period. So similar firms, with similar histories of activist investing, and similar timing on the appointment of new C.E.O.’s. But one group of C.E.O.’s were female; the other, male. By comparing them, Shropshire was actually correcting for the glass-cliff effect. In other words, if the firm with a female C.E.O. was in crisis, it would be matched against a firm with a male C.E.O. that was also in crisis. So, holding everything else constant, what’d she find? SHROPSHIRE: So we found that the gender effect alone is responsible for a 28 percent increase in the likelihood that a firm experiences targeting from an activist. What do activist investors want? They might be pushing the C.E.O. to make a big acquisition; maybe they want a seat (or a few seats) on the board; maybe they want a new C.E.O. In any case, it can be a big distraction. Shropshire cites Irene Rosenfeld, who until late 2017 was C.E.O. of Mondelez, the giant snacks conglomerate that had been spun off from Kraft Foods. SHROPSHIRE: Irene Rosenfeld estimated that a quarter of her time was spent taking phone calls and having conversations with two activist investors that had targeted her organization. With all of the things that a C.E.O. needs to manage, to spend 25 percent of her time just conversing with and being responsive to two activists who hold some minor percentage in her organization is pretty mind-boggling. One of those two activists was Nelson Peltz, who’s one of the most active activist investors around. Or at least one of the most visible. SHROPSHIRE: He gets a lot of media attention, and seems to respond to that positively. He’s being more aggressive toward these organizations because he expects it to be not only a big story, and something that gains notoriety, but also that he sees the potential to make the biggest difference the fastest, which you can’t hold against him. But when you look at the record of targeting behavior, there is a disproportionate number of female C.E.O.’s that are targeted, and very publicly. Like in the Irene Rosenfeld example, he’s spending a lot of time on the phone with her and expecting to be able to gain access to her whenever he would like, and get time in her office. But it’s also this pattern of going after female-led firms with very broad demands, and pretty significant demands. Jeffrey SONNENFELD: More than a third of women C.E.O.’s have been targeted by shareholder activists, and that’s not true of men. That’s Jeff Sonnenfeld of the Yale School of Management. He’s a veteran C.E.O. tracker. SONNENFELD: Somehow, consciously or unconsciously, even when you finally get the job, you’re seen, somehow, as more vulnerable, easier prey, for short-term activists to come after you. Sonnenfeld brings up Ellen Kullman, former C.E.O. of DuPont. SONNENFELD: Nobody has had better performance than Ellen Kullman did for the six years that she ran DuPont, with 260 percent total shareholder return. And then basically, one bad quarter, the whole board collapses like lawn furniture on her, to Nelson Peltz, and the shareholders are worse off, by the way, in the aftermath. Peltz also pushed for changes at PepsiCo, the global snacks-and-soda empire. Here’s PepsiCo’s C.E.O., Indra Nooyi. Indra NOOYI: When Nelson Peltz came — and believe me, when he presented his white paper to us — we studied every chart, every idea, and had multiple conversations with him. Because at the end of the day we viewed him as free consulting — painful, but free consulting. DUBNER: What was his best idea? NOOYI: The way he thought about costs — I wouldn’t call it his best idea, but he came in with a bunch of benchmarks from the outside. So a lot of little operational things that Nelson opened our eyes to. SHROPSHIRE: Media coverage disproportionately punishes the female C.E.O.’s. That, again, is management professor Christy Shropshire. SHROPSHIRE: When there is really high levels of C.E.O.-focused media, the firms that have appointed a female C.E.O. see an even greater likelihood of being targeted by activism. It increases 52 percent. David RUBENSTEIN: The women that get those jobs are not probably getting them in maybe the best of times. Very often they might be getting them in the worst of times. David Rubenstein is a founder of the Carlyle Group private-equity firm, which over the years has acquired, turned around, and sold off hundreds of companies in all sorts of industries. Which means he’s worked closely with hundreds of C.E.O.’s. RUBENSTEIN: There are some women C.E.O.’s who’ve done spectacular jobs in the organizations that they have run. So Phebe Novakovic, for example, has done a terrific job at General Dynamics. Marillyn Hewson has done a spectacular job at Lockheed. Meg Whitman has a very good job at Hewlett-Packard. And of course Indra Nooyi, she’s done a spectacular job. And what about female C.E.O.’s who don’t do a good job? Rubenstein has seen in practice what Shropshire found in the data. RUBENSTEIN: Women, when they don’t do a good job, probably get more attention than when men don’t do a good job. And there are many men who don’t do wonderful jobs. Indra Nooyi of PepsiCo says that female C.E.O.’s draw more attention generally, or at least different attention. NOOYI: When you become a C.E.O. and you’re a woman, you are looked at differently. Whatever you say, people say things like, “Well, a guy C.E.O. wouldn’t have said that.” You are held to a different standard, there’s no question about it. We featured a long interview with Nooyi in an earlier episode in this C.E.O. series. We asked her about PepsiCo research showing that men and women eat chips differently. NOOYI: Especially as you watch a lot of the young guys eat the chips, they love their Doritos, and they lick their fingers with great glee, and when they reach the bottom of the bag they pour the little broken pieces into their mouth, because they don’t want to lose that taste of the flavor, and the broken chips in the bottom. Women, I think, would love to do the same, but they don’t. They don’t like to crunch too loudly in public. And they don’t lick their fingers generously and they don’t like to pour the little broken pieces and the flavor into their mouth. NOOYI: It’s not a male and female as much as “are there snacks for women that can be designed and packaged differently?” And yes, we are looking at it, and we’re getting ready to launch a bunch of them soon. For women, low-crunch, the full taste profile, not have so much of the flavor stick on the fingers, and how can you put it in a purse? It’s impossible to say what role Nooyi’s gender played in this story. For starters, a lot of commenters, without having heard the actual interview, may have assumed the C.E.O. of PepsiCo is a man. After all, they’d have a 94.6 percent chance of being right. It’s also possible a male C.E.O. wouldn’t have even dared talk about the difference between how men and women eat chips. Looking beyond the momentary internet spasm, it’s worth pointing out that a key argument for having women in leadership has been so that they can do exactly what Indra Nooyi did: take into account the perspective of the women who use her company’s products. Maybe that’s true, but in this case, suggesting that women shouldn’t, or don’t want, to crunch their chips as loudly as men? — well, you get the feeling that the parable of the Lady Doritos will be a business-school case study for decades to come. There’s one more obvious question to ask about female C.E.O.’s: how do they do, versus males? The evidence on this question isn’t yet what you’d call definitive. But most of it seems to suggest that female C.E.O.’s do as well, if not better, than male C.E.O.’s. A 2016 study from the Peterson Institute for International Economics looked at more than 20,000 international firms and found essentially no difference in male and female C.E.O. performance. But they did find that firms with more women among top leadership — including the boards and other C-level positions — were more profitable. What have we learned so far? Female C.E.O.’s are much more likely to be hired when a firm is in trouble. Firms that hire women as C.E.O.’s are much more likely to be targeted by activist investors. All of which can contribute, as you’d imagine, to a perception that female C.E.O.’s are to be avoided. Which may help explain why only 5.4 percent of Fortune 500 companies have one. That low figure is obviously bad news for women in the corporate world. What about for the rest of us, and for the economy itself? Olga SHURCHKOV: My name is Olga Shurchkov and I am an economist at Wellesley College. Shurchkov studies the relationship between gender and economic outcomes. SHURCHKOV: Achieving equality is not just an issue of social justice, but really, it is an economic imperative. There are many studies at the firm level, and also at the macro level, that suggest that gender diversity in the workplace actually helps firms and economies become more productive over time. So if you aggregate all of that up, then from the macro perspective, underrepresentation of women in high-level management positions is problematic. There’s also the waste of all that human capital. Remember: more women are getting bachelor’s degrees than men. Also remember that firms with more women in the C-suite are more profitable. SHURCHKOV: We know that human capital is an important ingredient in productivity and so underrepresentation of women is essentially causing there to be less skills and less diverse skills in production. And that’s obviously a problem. So the glass-cliff effect has been demonstrated in a variety of studies, in a variety of contexts, by different researchers using different measures. And none of these findings come as a surprise to Carol Bartz, former C.E.O. of Autodesk and Yahoo. BARTZ: Oh gee, what a concept! Did they pay a lot for that research? Bartz, we should say, has a reputation for speaking her mind. BARTZ: So, which bad YouTube video of me did you watch? Her style may come from her upbringing. BARTZ: I came from a dairy farm in Wisconsin, my mom died when I was 8, so I was very motivated always to do well. And I was ornery. Bartz studied computer science at the University of Wisconsin, and graduated in 1971. It was great timing for someone with a C.S. degree. She went on to work at Digital Equipment, 3M, and Sun Microsystems. BARTZ: Well, I was both fortunate to be a woman, and unfortunate, and let me tell you why. First of all, it was easier in the beginning, because not many people had computer science degrees. And so they didn’t care if you were you an orangutan. You could get a job because they didn’t understand what was going on, and they thought maybe you could help them. So I felt fortunate from that standpoint. Unfortunately though, at that time I walked into a mess of typical, bad men that you read about today. DUBNER: You’ve been in business for a long time and in technology for a long time. How would you compare the status of female leadership now versus, let’s say 40 years ago? Whether it was Bartz’s blunt style or simply her abilities — she won the respect of her colleagues and she kept rising in the industry. In 1992, she became president, chairperson, and C.E.O. of Autodesk, which makes software for engineers and architects. SONNENFELD: She came into this, basically, a tools business in the software world. That’s Jeff Sonnenfeld again, from Yale. SONNENFELD: And she also faced a fairly sexist and gender-infused revolt, some resentment against her, by the founding cadre, that resented her parachuting in. Profits had been falling and yes, there was some friction within management. And then, exactly one day after she started as C.E.O., Bartz got diagnosed with breast cancer. She had a radical mastectomy and seven months of chemotherapy. But she got through that and she got through to Autodesk’s engineers as well. She led the firm through the dot-com boom and bust, growing its annual revenues from $300 million to $1.5 billion. SONNENFELD: If that’s where it began and ended, you’d be in admiration of Carol Bartz forever. But that’s not where it ended. Bartz stepped down as C.E.O. of Autodesk after 14 years and became its executive chairwoman. But three years later, she was recruited to run Yahoo. SONNENFELD: Media was not her space. And Yahoo is much more of a consumer brand and media business. There was also the matter of timing. DUBNER: So you took over as C.E.O. of Yahoo in 2009. The Great Recession was raging, online ad revenue was plunging, Google had been gobbling up search business. There was a sense that Yahoo’s glory days were behind it. Also you were replacing Jerry Yang as C.E.O., one of the founders of the company. At the time, how did you weigh the pros and cons of taking over Yahoo? BARTZ: Well, let’s take them in order. The Great Recession: I have always had this belief that it goes down, then it comes up. Then it goes down, then comes up. You just don’t know the depth, and frequency and length. DUBNER: So that wasn’t that big a concern for you, per se, the Recession? BARTZ: No, I felt that it was so bad in ‘08, in the fall, that it certainly was going to last, but that would give me time to sit under the shadow of the recession to get some things done, and I wouldn’t be criticized because, “Gee, everybody’s in recession.” So I viewed that as a positive. And Jerry actually personally courted me to take this job. I had known Jerry before, and he personally pushed really hard for me to take this job, so I wasn’t worried about Jerry as a founder. The third thing was, it just looked like a fun problem. It really did. It just looked like something that would be very, very interesting. DUBNER: And when you say “a fun problem,” how would you define the problem? BARTZ: Well, as you already said, ad revenues were stalled, a lot because of the recession. Yahoo had fallen way behind in search — and had really lost its confidence, because the Microsoft takeover attempt had just ended when I went in, and the employees were just beaten. Bartz started catching criticism from the outside after her very first conference call with analysts. BARTZ: I really went after them. And that started our long love affair. DUBNER: Now if you’d have gone after them, if your very same words, in the very same tone, happened to have been attached to a male human, how do you think that position — your position of trying to buy that breathing space — would have been received by the analysts? BARTZ: Oh, it would have been received great. I’m positive. I’m not hiding behind any “Oh, poor Carol.” I’m just saying, they just don’t like it. Media coverage aside, one of the first things Bartz did was restart talks with Microsoft. This led to an agreement in which Yahoo began using Microsoft’s new search engine, Bing. While “Bing” did not officially stand for “But It’s Not Google,” that was the perception, so this was a big boost to Microsoft. In return, Yahoo got favorable commissions on search ads that ran alongside Bing results. Yahoo investors disliked this new deal right out of the gate. They’d been hoping for a cash windfall, but Microsoft did not pay Yahoo a lump sum. Yahoo also lost out on all that user data tied to search. And, as we now know, aggregating user data is really where the industry was headed. Yahoo’s profits did rise, but mostly because of all the layoffs Bartz was making. Revenues were falling; Yahoo just couldn’t sell enough ads. And there was another problem. BARTZ: What I didn’t understand correctly was the influence of Alibaba. Alibaba, if you didn’t know, is a massive Chinese e-commerce company. Yahoo, thanks to some fortuitous early investments, owned a big chunk of Alibaba: more than 40 percent. As Alibaba grew, Yahoo’s stake in it accounted for a large share of Yahoo’s market value. Bartz, two years into the job, got into a huge fight with Jack Ma, the C.E.O. of Alibaba. She argued that he’d diminished Yahoo’s investment stake by improperly transferring some assets out of Alibaba. BARTZ: Alibaba was just such a big presence, hitting us constantly. And that part, I totally missed. DUBNER: Do you feel that there were signs that you should have anticipated, or could have? Or did it really accelerate without proper warning? BARTZ: Well, the only way — the only way that could have been solved is Alibaba wanted us to sell the shares back to them for like less than $10 a share. We owned 40 percent of the company. And I should have been fired if I had done that. I fought so hard against that, and fought, and fought. And fought directly with the Alibaba management team, that they were going to get me one way or the other. Bartz did fight, but her position had been damaged. Investors started calling for a new C.E.O. The Yahoo board defended her, perhaps not very convincingly. Then a few months later, she was fired. Quite unceremoniously. DUBNER: So a couple days after you were fired by Yahoo, you told Fortune magazine that the Yahoo board were, “doofuses” and you said that “these people fucked me over.” Why — I mean, you’re known for being straightforward, but that was a little bit more straightforward than most people were accustomed to. Why’d you go so honest or ballistic at that moment? BARTZ: Well, I was in a limo driving into New York City when I got a call from Roy Bostock, the chairman of the board, and told me I was fired. I was literally 20 minutes away from where he was physically located. He didn’t have the nerve to see me face to face. I do not believe that that would have happened to a man. He didn’t have the nerve. Now I like to think he didn’t have the nerve because he knew I would’ve probably punched him out. DUBNER: And was he right? BARTZ: Might be right. I don’t know. DUBNER: Now, I understand — and I’m curious to know if this is true — I understand that interview reportedly cost you about $10 million for having violated a disparagement clause in your contract. Is that true? BARTZ: You mean that one f-word was $10 million? I don’t think so. DUBNER: Did you have to pay back anything from the settlement for having disparaged the board though, publicly? BARTZ: Oh, no all those little men just ran in the corner. DUBNER: So if you did have to pay, I gather it was worth it. BARTZ: All was worth it. Stand by what your words are. Why should I have sugarcoated that, and say, “Oh, I have to go spend some time with my family now, because, I was working the whole time my daughter was growing up, but now she’s out of college, so I really need to spend some time with her”? DUBNER: So let me ask you this. Some researchers, academic researchers, talk about this glass-cliff phenomenon, that women are more likely to become C.E.O.’s when a company is in trouble — for whatever reason it’s in trouble — whereas men are more likely to become C.E.O.’s for stable companies. So in this research literature, you, Carol Bartz, are sometimes held up as a classic example of being placed on, and maybe shoved off of, this glass cliff at Yahoo. What do you make of that characterization? BARTZ: Well, first of all I would say Autodesk was in trouble when I took it over, and I didn’t get shoved off any cliff. DUBNER: Quite the contrary, yep. BARTZ: Yeah, quite the contrary. But listen, it is absolutely true that women have a better chance to get a directorship, or a senior position, if there’s trouble. Mostly because a lot of times men don’t want the job. And so they go for the Tier 1 man on their list, and they take a look and say, “I wouldn’t touch that with anything.” And then they get to the Tier 2 man. And by the time they get to the Tier 2 man, some woman has finally popped up in their mind. And she’s so happy that she has a chance to have a senior position as a director or a C.E.O. that she takes it. DUBNER: Yeah. That even if the circumstances are prima facie, suboptimal, yeah? BARTZ: Yeah, exactly. And it’s good that she takes it. I have no problem with that. But it’s not that all of a sudden the boards wake up and say, “Oh, there should be a female here.” They do that sometimes, because it’s easier to hide behind: “Well, that failed, because it was female. What could we have been thinking?” But it’s still a pretty nefarious way of thinking. DUBNER: One theory is that boards will pick female leadership when a company is in trouble in order to signal to investors that, “Hey, we’re really trying something new and different here.” Do you think that was part of the equation when Yahoo’s board hired you? BARTZ: Well, I’d like to think not, but, um, probably. I’d like to think that they hired me because they actually thought I was good. BARTZ: Listen, I believe if they had found what they consider the perfect male, they would have taken the perfect male. There’s no doubt about that. I don’t believe a female is ever hired a C.E.O., especially from the outside, for the reasons that she was the absolute number-one pick. DUBNER: That’s depressing, isn’t it? BARTZ: Well, of course it’s depressing. From all the evidence we’ve heard today, and the personal testimony, it would seem the glass cliff is a significant problem with significant ramifications. So: what’s to be done about it? How can more good female executives attain the leadership roles they deserve — and not just at companies that are in crisis mode? Carol Bartz thinks it’s a pipeline problem. BARTZ: The pipeline, we’re stuck. We’ve been spending this whole time talking about C.E.O.’s. Let’s talk about why we can’t get senior vice presidents in. That’s the problem. I mean, they’re not likely to be picked over into a different company as a C.E.O. if they’re sitting as the vice president in one company. And they’re not likely to even get to be vice president of that company, so we’re really stuck. NOOYI: We get a lot of women in at the entry-level positions. Indra Nooyi again, the C.E.O. of PepsiCo. NOOYI: As you get to middle management, women rise to those positions, and then that’s the childbearing years. And when they have children, it’s difficult to balance having children, your career, your marriage, and be a high potential out-performer who’s going to grow in the company in an organization that’s, every one of them is a pyramid. So it starts to thin out as you move up. We have to solve for that. How are you going to attract women to the workforce, where we need them, but allow them to balance having a family and taking care of aging parents and still allow them to contribute productively to the workforce? Don’t have an answer to that. It’s got to be a concerted effort on the part of governments, societies, families, companies — all of us coming together. RYAN: What’s really important is that stereotypes are incredibly enduring. That’s Michelle Ryan, the academic who kicked off the glass-cliff research. RYAN: More recent work very much demonstrates that our gender stereotypes are not actually attenuating. If anything, they’re getting stronger. So with this new generation, the millennials, coming through, and even the generation coming up behind them, actually they’re more likely to endorse gender stereotypes than, say, myself as a Generation X, or my parents the baby boomers. If anything they’re becoming more traditional. SHURCHKOV: I guess the solutions to this are interesting. And that is the economist Olga Shurchkov. SHURCHKOV: Some countries like the Scandinavian countries, for example, they’ve actually instituted quotas for a certain ratio of women represented on boards of companies, for example. It’s interesting, because when you look at the effects of these policies, we find that at least in the short term, forcing women into these leadership roles does actually backfire a little bit, because it’s hard to find enough experienced women at that level to fill those positions. And then once you start to fill the positions with women who are less experienced those companies actually suffer in the short term, in terms of revenues and profits. So, I wish I had an easy answer to this. Policies should really be geared towards making it easier for women to actually gain experience, rise through the ranks of companies without so much interruption to their careers. It has to be a societal shift in perceptions of what’s acceptable and what’s going to be productive for the long run. BARTZ: I mean, we have made no progress! BARTZ: We have made absolutely no progress. DUBNER: And why do you think that is? BARTZ: Because old white men rule. I mean, I had this interesting idea that, I was so hopeful, that my daughter would go to college, and be with open-minded young men, they’d all work together in school, and when they got out, they’d all realize that they were equally smart, and off we’d go and things would change. It’s exactly the opposite. They got out, the guys got these jobs, they got a little money, and they turned into old frat boys in business, as opposed to schools. I really want you to understand: the young men are groomed by the older men to run the thing. And they’re not predisposed to treat a female any more than a female, not a business partner. On the next Freakonomics Radio: the final episode in our “Secret Life of a C.E.O.” series. Letting go of the corner office. RUBENSTEIN: I concluded that with respect to golf that it was too frustrating and too humiliating. BARTZ: I am going to have a quesadilla. Freakonomics Radio is produced by WNYC Studios and Dubner Productions. This episode was produced by Matt Frassica, with help from Max Miller. Our staff also includes Alison Hockenberry, Merritt Jacob, Greg Rosalsky, Stephanie Tam, Vera Carothers, Harry Huggins and Brian Gutierrez. For this series, the sound design is by David Herman, with help from Dan Dzula; and special thanks this week to Utah Public Radio. The music throughout the episode was composed by Luis Guerra. You can subscribe to Freakonomics Radio on Apple Podcasts, or wherever you get your podcasts. You can also find us on Twitter, Facebook, or via email at radio@freakonomics.com. “Above the Glass Ceiling: When Are Women and Racial/Ethnic Minorities Promoted to C.E.O. ?,” Alison Cook and Christy Glass (2014). “Women on Board: Help or Hindrance?,” Elizabeth Judge, The Times, (November 11, 2003). “Study: Firms with More Women in the C-suite Are More Profitable,” Marcus Noland and Tyler Moran (2016). “The Glass Cliff: Evidence That Women Are Over-Represented in Precarious Leadership Positions,” Michelle K. Ryan and S. Alexander Haslam (2005). “Female C.E.O.’s Have a 1 in 4 Chance of Being Targeted by Activist Investors,” Valentina Zarya, Fortune, (August 16, 2016). “Ellen Pao Steps Down as C.E.O. After Reddit Revolt,” Davey Alba, WIRED, (July 10, 2015). “How DuPont Went to War with Activist Investor Nelson Peltz,” Stephen Gandel, Fortune, (May 11, 2015). “Yahoo Chief Executive Faces Unhappy Shareholders,” Verne G. Kopytoff, The New York Times Bits Blog, (June 23, 2011). “Sound Bytes; She Defines Autodesk And Women’s Issues, Too,” Peter H. Lewis, The New York Times, (November 7, 1993). “A Timeline Of The Reddit Drama And Ellen Pao’s Fall From Power,” Abigail Tracy, Forbes, (July 13, 2015). 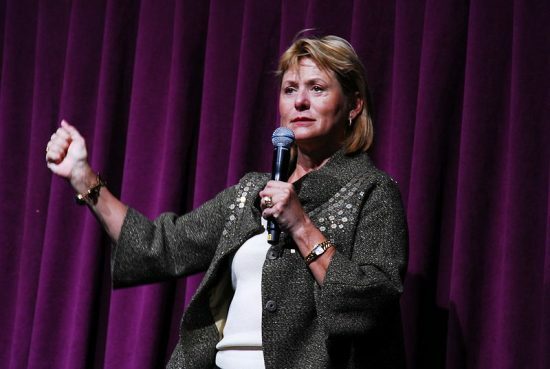 “Carol Bartz Exclusive: Yahoo ‘f—Ed Me Over,’” Patricia Sellers, Fortune, (September 8, 2011). “Exclusive: Carol Bartz Out at Yahoo; C.F.O. Tim Morse Named Interim C.E.O.,” Kara Swisher, AllThingsD, (September 6, 2011). “It’s Your Problem Now,” Freakonomics Radio (2018). “‘I Wasn’t Stupid Enough to Say This Could Be Done Overnight,'” Freakonomics Radio (2018). « Previous PostWhat Can Uber Teach Us About the Gender Pay Gap? Next Post »Not Your Grandmother’s I.M.F.